Jordan is an Arab nation on the east bank of Jordan River. It is defined by the famed archaeological site of Petra, the Nabatean capital dating to 300 B.C.E, nature reserves, seaside resorts and ancient monuments. If you look forward to spending time at an archaeological site, then Petra is the place to be. Let TCE look after your money matters while you plan that archaeological trip to Petra. 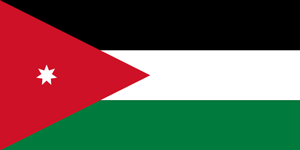 The Dinar is the official currency of Jordan. It is known as JOD or simply, JD. Each dinar is divided into 10 dirhams, 100 qirsh or 1000 fulus. Since October’ 95, it has been officially pegged to IMF’S special drawing rights (SDRs). TCE offers its customers superior exchange rates, unavailable anywhere in Canada. There are no hidden charges and our customers never overpay. At TCE, our skilled and expert services cater to individual needs of our customers and ensure that they are satisfied. At TCE, we know the value of time and with that in mind, we offer our customers an online ordering facility. It is easy, convenient and completely reliable. With the unique home delivery option, it becomes more convenient.